The scenic and historic “Seven Passes Road" - constructed by master pass builder Thomas Bain and his brother in law, Adam De Smidt - stretches between George and Knysna, and includes the Swartrivier Pass, Kaaimansgat Pass, Silver River Pass, Touw River Pass, Hoogekraal Pass, Karatara Pass and the Phantom Pass. The passes originated following a commission in the late 1800’s to construct a road between Knysna and George. The “Seven Passes Road” – also known as the George Road, traverses lush scenery and winds through indigenous forest for roughly 75 kilometres, crossing 10 rivers and 7 gorges. 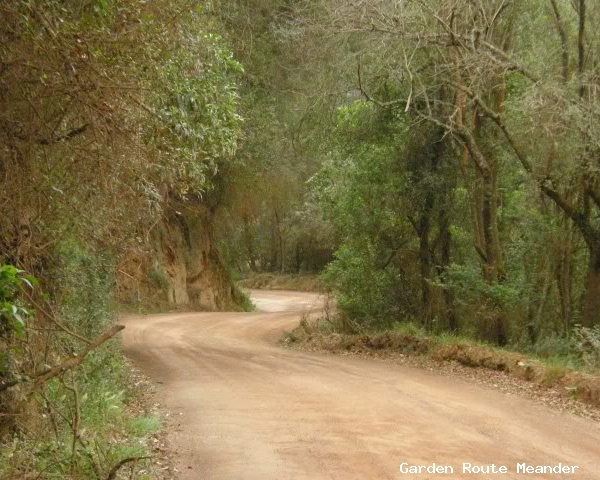 The Phantom Pass is the final pass in the “Seven Passes Road” between George and Knysna and follows a 7.4 kilometres, narrow and winding, descending gravel road through indigenous forest. The pass ends near the Knysna River Lagoon. The pass is named for the Phantom Moth, which can be found in the area every spring.